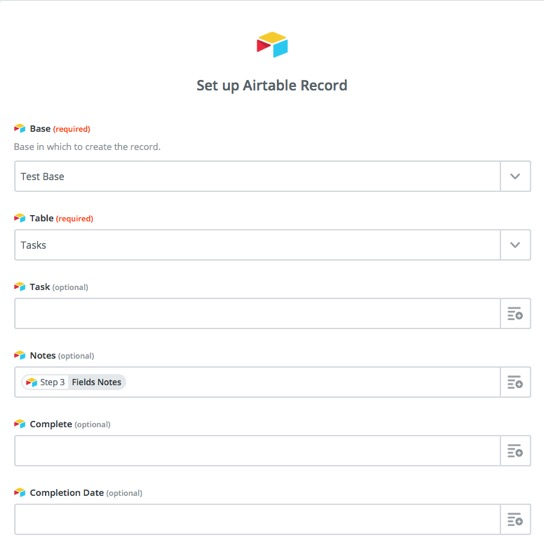 So, in this Article, we are going to go through the process of automatically creating task lists in Airtable - with the automation handled through Zapier. 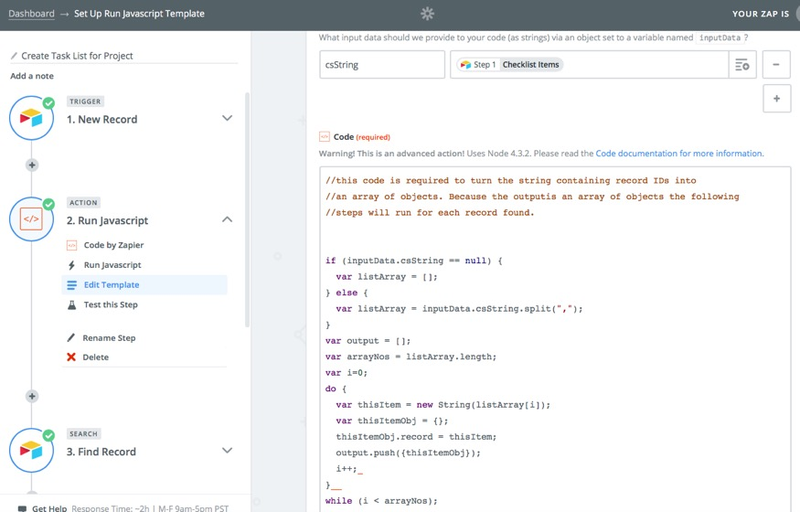 In order to copy this you will need an Airtable account and a Paid Zapier account (all the features required are not available in a Free account). In this example, we're going to work on the basis of a project app. 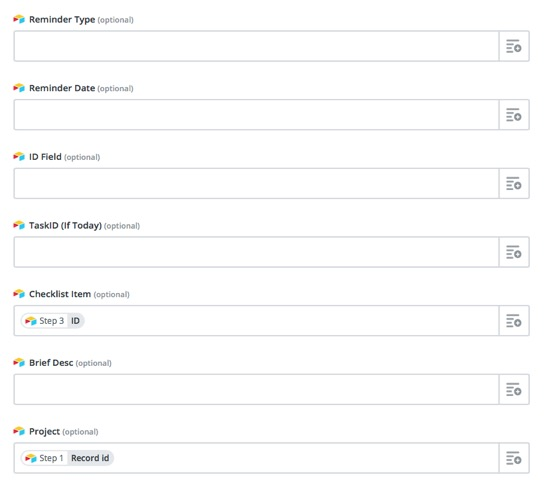 When a new project is created we are going to enter a checklist (from a lookup table) and Zapier will then create the tasks from the entered checklist. This is all quite straightforward - with the only unusual item being the lookup field called Checklist Items - this is a field from the Checklist table listing the items which the checklist will generate. This table simply contains a Name field and then shows which Checklist Items are linked to it and also which Projects. Generally I prefer to create these links in the Many (or child) side of a one to many relationship. 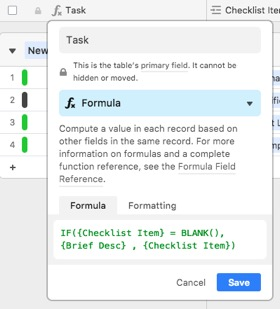 This table contains a Name field, who to assign the task to (a Collaborator field), a number of days after today that the task is due and which Checklist it forms a part of. The ItemID field will be used later to enable Zapier to search for this record so that we can get other information from it. 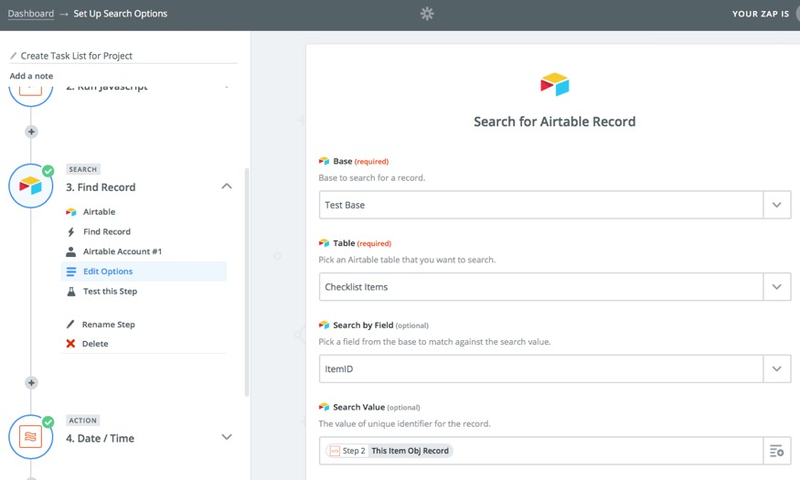 With all this information, we are now in a position where Airtable has all the information it needs to generate a task and assign it to a project and collaborator. Firstly, the Zap is going to be triggered by a New Record in the Project table - as you can see above. One of the fields returned by this step is going to contain a comma separated list of the Checklist Items associated with the Checklist (from the Project's [Checklist Items] field. On screen, this looks as though it contains the names of the items - however in Zapier we get a list of the Checklist Items' IDs - which is much more useful. Note that we're searching by ItemID - which is a field we created for this purpose when we created the Checklist Items table. 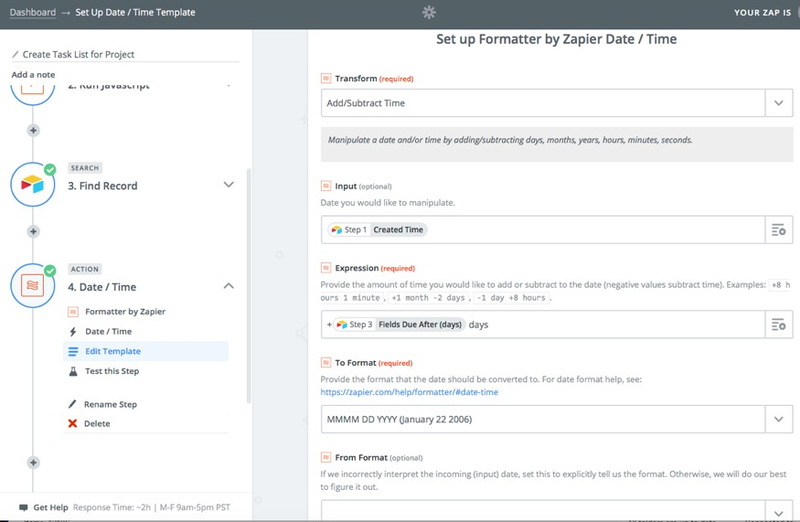 I decided to use the following step (using Zapier's Formatter 'app') to calculate the Due date of the task list item. It's more flexible than trying to do this in the final step where the Task itself is created. What's happening here is that the Created time of the project record (from Zap step 1) is going to have the Due After (Days) field from Checklist Steps added to it (in Days) - and then the result will be formatted as shown. The latter is often useful as it avoids ambiguities between US and European date formats. 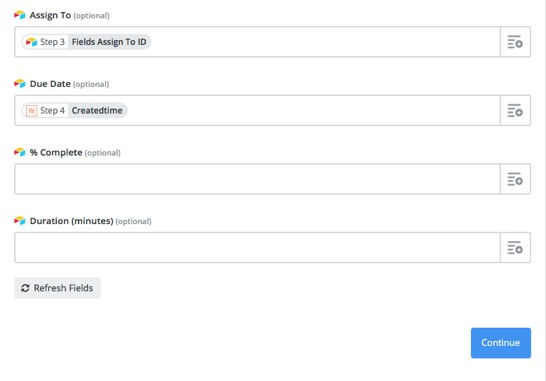 So, there we have the complete process where, for every new project, Zapier will create tasks based on the Checklist selected and assign them to the project and user! There is a limitation in this - Zapier will only Loop around 25 records in an array like this and so if there are more than this number it could fail. However, there is a way around this - and it just adds one more code step to the Zap. I hope you've found this article useful and please feel free to make any comments or suggestions!